For all those who would like to know (or refresh knowledge) about Croatia, its land and its people, there is a new book dubbed the “Croatia’s Identity Card”. It’s fresh out of press, a separate book in Croatian, in English and in French language. It’s a wonderful goldmine of concise information, photographs and achievements of the Croatian people throughout the ages. There is also a new website (in the three languages) dedicated to this publication. The PDF format of the book can also be downloaded from the website (DOWNLOAD BUTTON on bottom of webpage). However I have included that pdf file on the left margin of this blog. 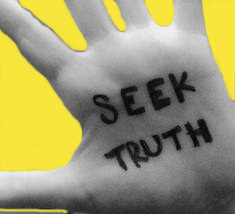 If you click on the book’s cover photo/image you will access the book in the English language. it is so personally fulfilling to love ones country of birth! 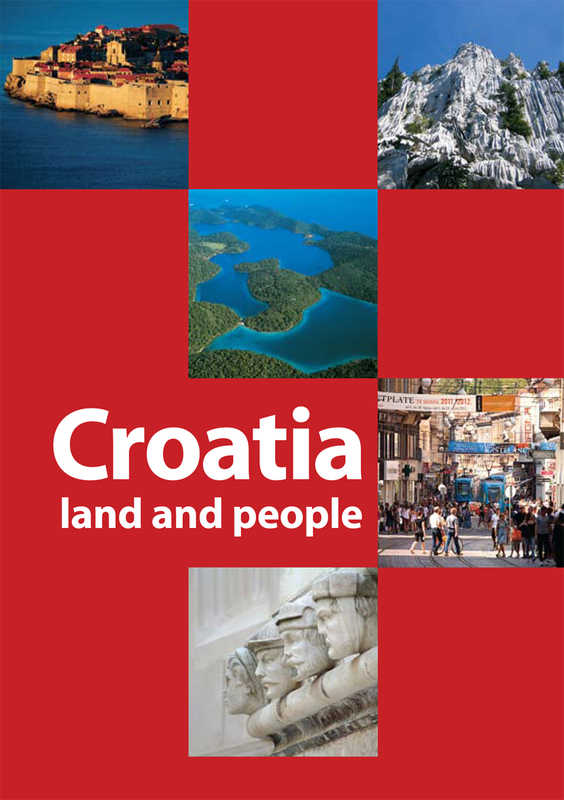 On Thursday 11 July 2013, the Miroslav Krleza Istitute of Lexicography in Zagreb, Croatia, has launched its book “Croatia: land and people”. The book “has been produced in collaboration with the Ministry of Foreign and European Affairs of the Republic of Croatia to mark the entry of Croatia into the European Union. It is primarily intended for the huge public in the other member states and for all those who want or need information about the newest EU member. So it has been produced in several languages. It is a sort of ‘identity card’, providing the most important information about the country in a concise, readable way – its geography, history, political organisation, population, economy, culture and society. Alongside an overview of generally known facts, we have included some interesting details through which Croatia can contribute to the unity and diversity of Europe, and which the editorial board considered were probably less well known to the wider public until now. Of course, as with any selection, this one is arbitrary to some extent. Attention is paid to the centuries of links between Croatia and other European countries and peoples. Due to its position within Europe, modern Croatia was in the past exposed to different influences, which are reflected in its national and cultural identity, and in its tangible and spiritual heritage. The book was produced at the Miroslav Krleža Institute of Lexicography. In compiling texts and selecting illustrations for this publication, the authors and editors relied primarily on previous publications by the Institute, with the aim of making Croatia more accessible to the foreign public”. Croatian émigrés on ship to Canada in 1923. « Croatian Serb Leaders: Serb War Crimes Suspects Should Be Handled Delicately! I hope in three years to save enough money to travel to Europe. I would love to visit Croatia. It looked like a beautiful place. Thank you for LIKE ! 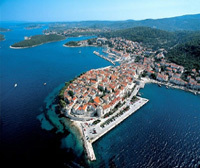 Croatia is one of the ecologically best preserved parts of Europe. It is a land where the hues of the sunny and warm Mediterranean happily blend with the tranquillity and freshness of mountains and the gentle sway of the golden plains of Pannonia. A land of truly divine inspiration that has delighted many of the world’s prominent men of letters. A rare European landscape which boasts as many as eight national parks in so small an area! With Risnjak, Paklenica, the Plitvice Lakes and Northern Velebit in the mountainous area, and with the Kornati Archipelago, the island of Mljet, the Brijuni Archipelago and the Krka waterfalls in the coastal area, Croatia is indeed a jewel of the primeval beauty of nature. Adding to that two arboretums, one in Trsteno, near Dubrovnik, and Opeka, near Vinica, numerous historical parks and protected nature parks, it is indeed a green land, with as many as 4300 plant and as many animal species. Do not delay: sail the azure blue waters of the Adriatic and discover the island which is one of the last habitats of the griffon vulture in Europe. For dedicated nature lovers in Croatia you can put to sea with an adopted dolphin or, if you are particularly lucky, encounter the mysterious and rare Mediterranean monk seal. Whatever you decide to do, you will find that this is a place where the colours of nature are at their warmest and fullest. Oh yes, CROATIAN CENTER of RENEWABLE ENERGY SOURCES – it’s a rare beauty indeed. Thanks for this uplifting comment. Very excited by this new book. Is it only available as PDF download or can an actual book be purchased? It’s a really nice little book. Thanks for this, can’t wait to check out the PDF and learnmore about my parents country! Might get a copy as a gift to my parents. Thanks for link! You know, I was thinking what a great idea for a gift for someone too. Going through the book makes one feel such surges of pride especially if one has connections to Croatia or Croats. Great idea. I wanted to inform you that I nominated you for the Wonderful Team Member Readership Award. Reblogged this on Croatia Business Report. On a bright side, many have survived. It is good that you are choosing to bring dark matters to the surface and light! Kudos to you. Greetings from Romania. You do a great job. Well done!